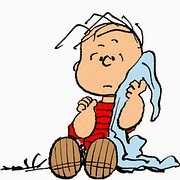 It's a security blanket, a weapon, a cloak, and his individual trademark--that Blue Blanket represents the dichotomy of Linus, and in Petite Opera's production of SNOOPY!!! 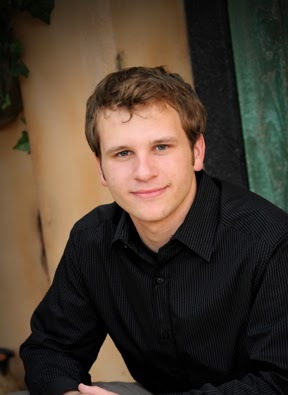 The Musical, Brandon Wilhelm brandishes it like a conductor's baton. 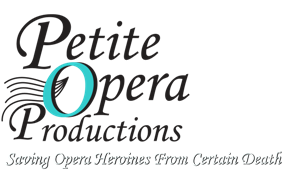 Petite Opera's staff interviewed Brandon to learn about the performer behind the boy with the blue blanket. Brandon, we know you're originally from Texas. What roles have you performed, and which groups have you worked with? Achille Di Rosalba in The Italian Strawhat (Amarillo Opera); Charles Wallace in A Wrinkle in Time (Dallas Children's Theater), Peter in Pinkalicious the Musical (Casa Mañana), and Ralph in A Catered Affair (Theatre Three). Which role have you most enjoyed portraying, or are you most proud of and why? Charles Wallace has been my favorite role I've played thus far as well as the most daunting. He is most people's favorite character in A Wrinkle in Time and everyone has their own idea of how he should be. He's such a beautiful old soul with the innocence of a child… a marvelously written character. What fascinates you about the LINUS VAN PELT character in Snoopy? I love how Linus is a sort of a know it all and feels so much more mature than the others at times with his philosophical knowledge. However, he still carries his blanket around and has quarrels with his sister in a very juvenile way. I find this very ironic. What do you think the other SNOOPY characters feel towards LINUS? I feel that others can be annoyed with Linus especially in the classroom setting--he's quite the brown-noser. I also think that others may feel that he is amusing with his outlandish ideas, particularly the Great Pumpkin. What is the most enlightening thing LINUS learns through the course of the show? He learns that even though others may tear you down for things that you're passionate about or believe in, it is still worth it to be your own person and have your own set of beliefs. It is better to be an individual than let people force you to confirm to their way of thinking. How are those characteristics embodied in you as a performer? Like Linus, I have a need to have my own beliefs and passions, which are sometimes different than others’ beliefs. I have an urge to dream big and stick to it. What do you find most difficult about portraying LINUS? Linus has a quiet wisdom about him. I sometimes find it challenging to play some moments truthfully without the help of microphones in our space. It makes me have to find another approach at times to convey what Linus has to say with the correct motivation. Why do you think patrons should come see this show over any other options they have for Apr 25-May 4, 2014? I think Snoopy!!! is a beautiful show that is great for the whole family. It offers nostalgia for the parents who grew up with the Peanuts characters, as well as humor for the little ones. Plus, it reminds us of the fundamental, simple life lessons we often forget about in our busy day-to-day lives. Petite Opera performs SNOOPY!!! the musical April 25-27, May 2-4, 2014 at Mary Wilson House Beyer Auditorium, part of St. Mary's Episcopal Church campus, 306 S Prospect Ave at Crescent Ave (enter on Crescent Ave), Park Ridge, IL. Call 847-553-4442 to reserve tickets, or purchase tickets online via credit card (convenience charges apply to credit card orders).